Rather than attempt to take on the major players in the US corporate travel arena, German car rental company Sixt has targeted luxury vehicles as the niche it will focus on in the States. The company is in more than 100 countries, and seven years ago it planted a stake in Miami. 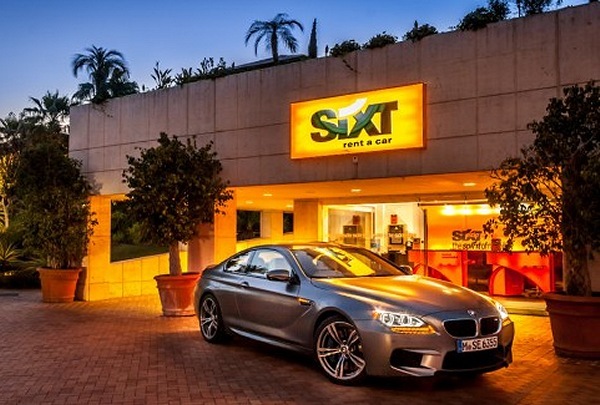 Since then, Sixt has grown its U.S. footprint to about 70 locations, including six new airport operations in the last six months. Sixt (founded in 1912) is the largest car rental company in Germany, Florence said, and is No. 2 in Europe. It is on an upward trajectory in the U.S., with two more airport locations coming later this year, a focus on leisure travel and a mission to differentiate itself with premium products and customer service. 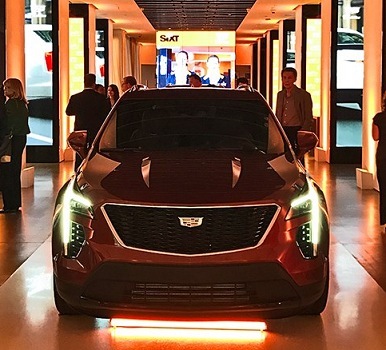 Last month, Sixt took the wraps off its first New York location, eschewing the airports for a downtown Manhattan site stocked exclusively with Cadillacs. The partnership with Cadillac was more than two years in the making, and Sixt celebrated the launch on July 24 with a party at the Cadillac House in New York’s Tribeca neighborhood and a fleet of Cadillacs, the Sixt brand emblazoned on their sides, parked prominently on Sixth Avenue (playfully called “Sixt Avenue” by the company for the occasion). “We really want to launch something different,” Florence said during a brief presentation at the Cadillac House. Sixt focuses on premium rentals, so think Mercedes and Jaguar in addition to Cadillac. A page on the Sixt website shows a tantalizing display of brands, including Maserati, Porsche and Tesla, although those appear to be available only in European locations. “We put a lot of effort on working with our manufacturing partners to make sure we have the coolest cars out there,” Florence said. He emphasized concierge-level customer service and described a rental location experience that has “a different vibe” from its competitors: Music, good coffee, updates via text message. The interaction between reservation agent and customer is “come see us, let’s talk what your needs are,” Florence said. To build awareness, Sixt has been working with social influencers and crafting viral marketing campaigns. It also has an agent portal at sixtagent.com. Sixt also offers limo and ride-hailing options. It pays 10% commission on transfers through its MyDriver service, which is available in 38 U.S. cities as well as international destinations. It also has an Uber-style app for people to book a car service on their phone.